Space is awesome! With only a tiny bit of it explored it leaves so much room for imagination (and speculation) and is a subject that appeals to all ages. 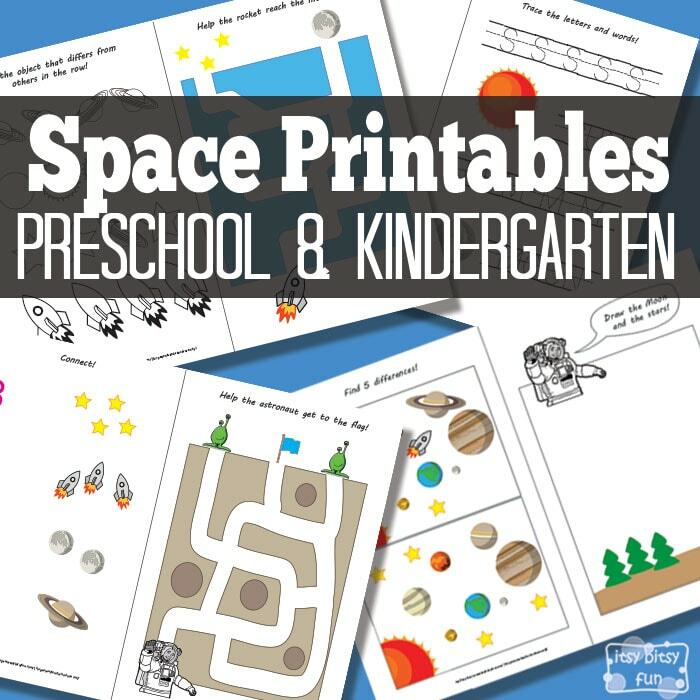 These space printables are made for kids in preschool and kindergarten though. We have cute mazes to solve, some writing practice to do and a whole lot of drawing and coloring. Now if your little one is already asking questions about the wast space be sure to check the solar system facts for kids too (comes with a free printable). This printable activity book has 8 pages (two pages on each piece of paper) full of fun activities for preschoolers and kids in kindergarten (older kids will love quite a few of them too!) . 1 page where kids have to finish a drawing of the rocket and color it. 1 page simple counting activities. 2 pages with fun mazes to solve. 1 page with spotting the differences on two pictures. 1 page where kids have to spot an object that’s different than others in the row. 1 page here they will have to draw the Moon and the stars. I hope this pack will serve as a fun introduction to learning about all the cool things that are out there. 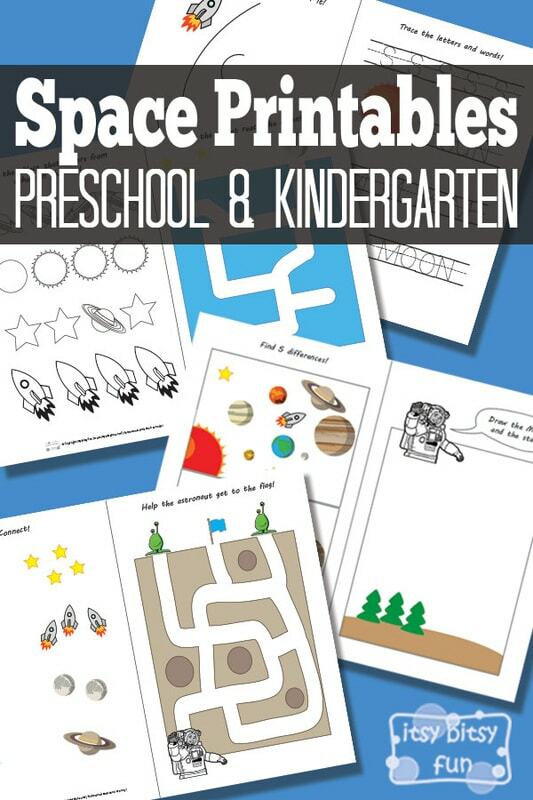 Get your free printable Space Preschool Activity Sheets here. Ready to learn all the planets? Check the solar system worksheets. Also check the solar system word search puzzles. If you liked these activity pages also check the Little Bunny Activity Pack.